Congratulations to Jeanette and David McCormack, and family, on winning the Herefords Australia Champion Pen at Wodonga, January 11. 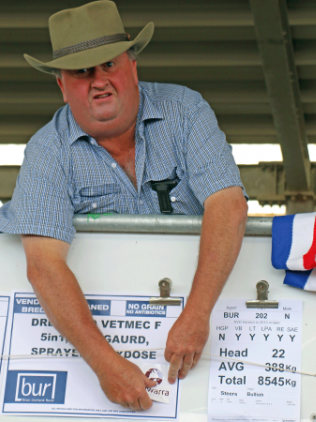 David McCormack, Bullioh, won the Herefords Australia champion pen for his 22 autumn drop steers, Mawarra blood, 388kg, and selling for the top weaner price of $1150 or 296c/kg. Bergamin Pastoral Co., Willow Grove, Vic., sold steers at VLE Koonawarra on Thursday, January 10. 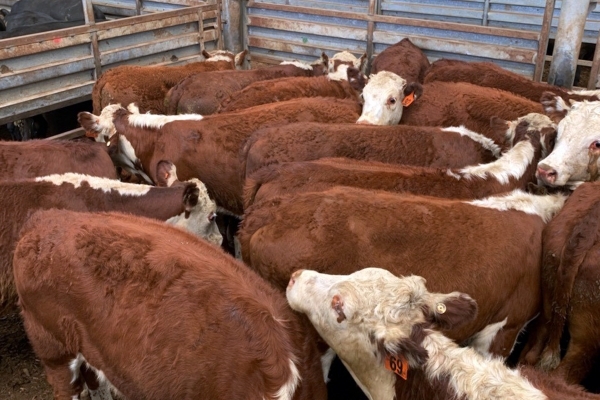 Their Hereford calves sold for 332-345c/kg to $1070. The calves pictured averaged 332kgs at 9-10 months. Bergamin Pastoral Co. include Mawarra genetics in their breeding program. Mawarra is our home, our livelihood and our passion. We strive to present Whiteface bulls and females that offer a range of genetic options and performance traits, enabling our clients to purchase from the same ‘farm gate’ while continuing to improve and diversify their own breeding programs. Our own breeding herd has been developed over more than half a century. We are encouraged by the passion and enthusiasm that our children have for Mawarra and Hereford cattle. 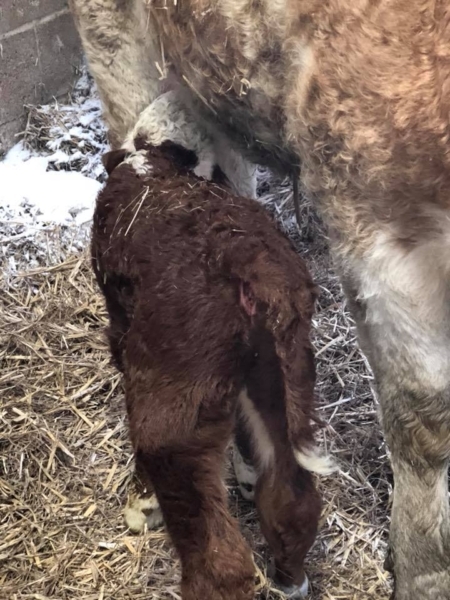 Together we are committed to consistently breeding modern, efficient, profitable Whiteface (Hereford and Poll Hereford) cattle to meet the needs of our clients and the greater beef industry….